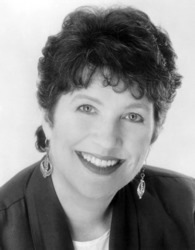 Klauser is author and co-author of a number of books and her writings have appeared in numerous newspapers and magazines. 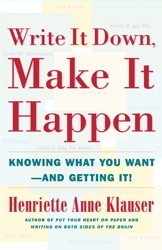 Among her works are Writing on Both Sides of the Brain (1986), Put Your Heart on Paper (1995), Write It Down, Make It Happen: Knowing What You Want And Getting It (2001), and With Pen in Hand: The Healing Power of Writing (2003). 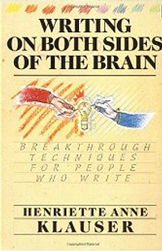 Klauser's books focus on the therapeutic benefit of writing and on its ability to transform pain into growth. 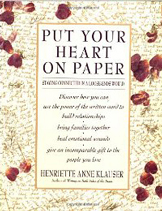 Whether as letters or journals, poetry or prose, Klauser offers practical techniques that help even inexperienced writers communicate their innermost thoughts as a step toward personal healing and catharsis. For more information please go to http://www.henrietteklauser.com/.